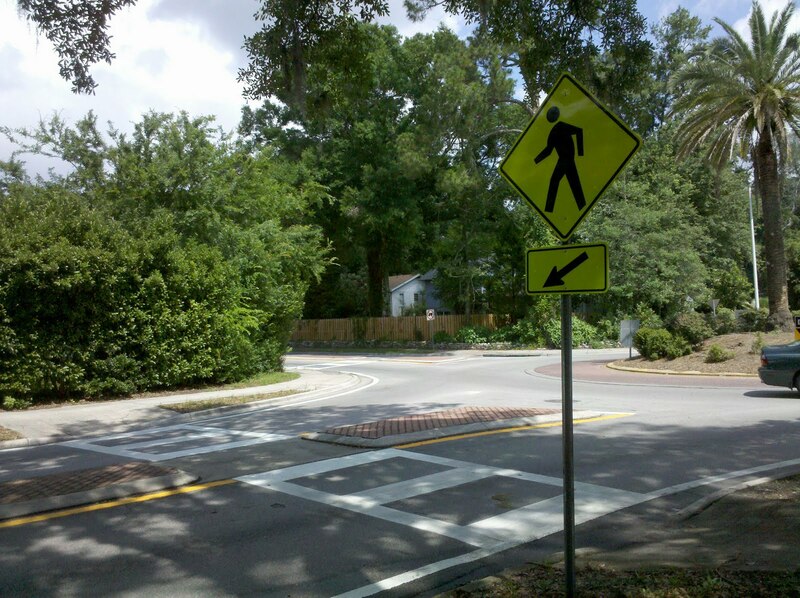 We were thrilled this week to see that the city had erected pedestrian signs and painted the cross walks at the corner of NE 8th Avenue and NE 9th Street. Our neighborhood association had requested this be done and the city did it! Apparently, this intersection had been on the list to be improved – and we think our specific request and follow up may have sped things up. It looks great and will make it safer to walk the area. Where do all the frogs come from after a rain – it’s like they magically appear. Where do they live when it’s not raining? 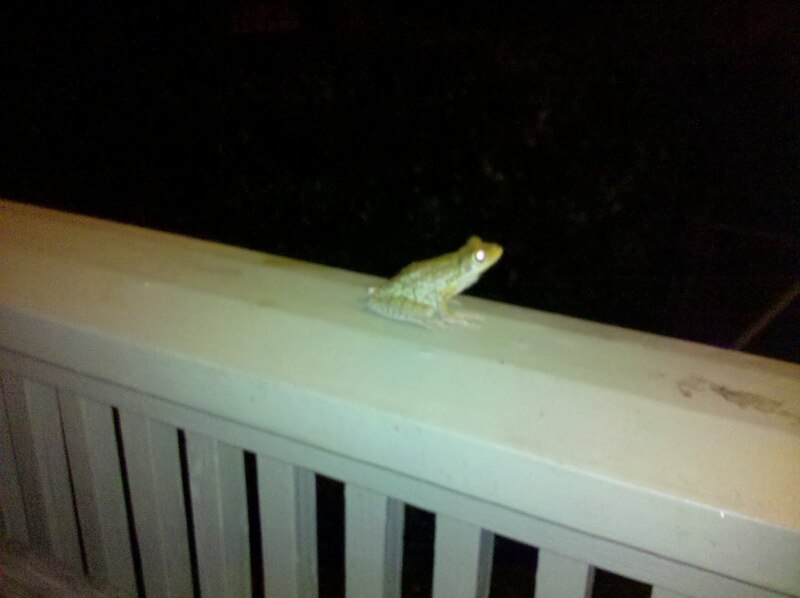 Anyway, this one showed up on our banister. Take care, Mr. Frog.